All the steel framing you need, in a variety of lengths and gauges. 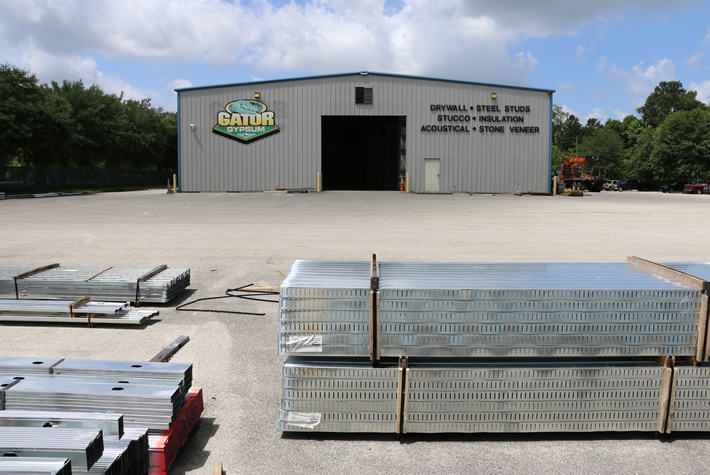 Gator Gypsum offers one of the largest in-stock inventories of steel framing and accessories in the market. We can also cut your steel to the exact specifications of your jobsite. 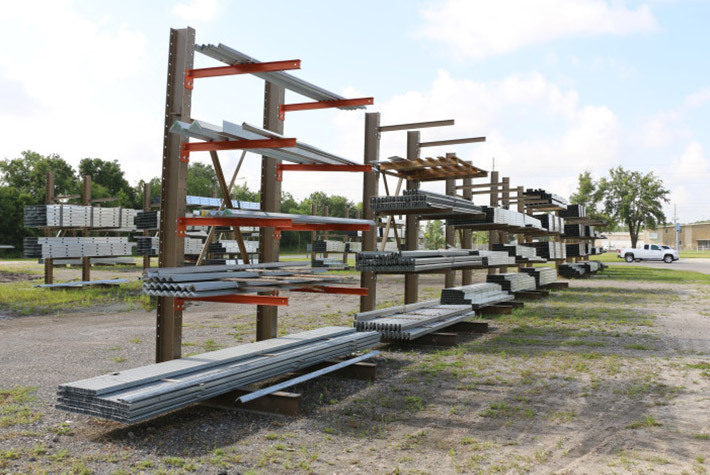 Our steel is available in a variety of lengths and sizes, and includes light gauge steel, heavy gauge steel, shaft wall separation and a full selection of steel accessories. Each of our steel framing products utilizes mill-certified galvanized steel. We are dedicated to providing our customers with high quality steel solutions that are both practical and economical. Our superior products are designed for attaching drywall to internal and non-load bearing partitions, fire and acoustic rated walls, stairwells, bulkheads and corridor ceilings. We carry world-class steel framing brands. 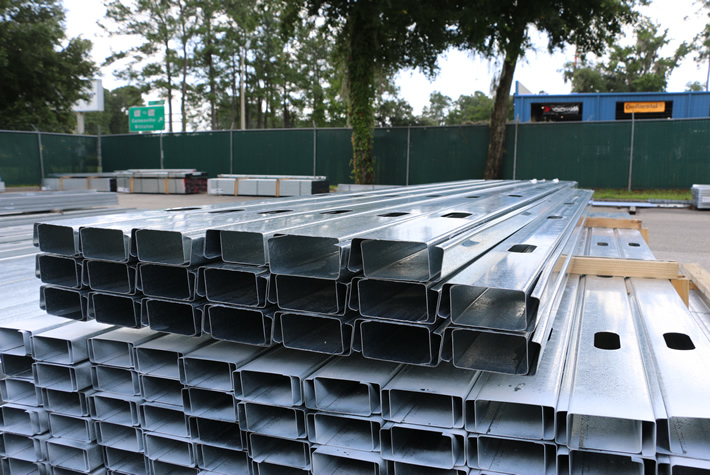 When you order your steel framing from Gator Gypsum, our team of skilled professionals will provide full stock and scatter service, delivering your order to your precise jobsite location. Customers are also invited to place will-call orders ahead of time for pickup at a local yard, if that is more convenient. We also offer a wide selection of steel accessories. We know that steel framing is one of the market’s most highly prized alternative building materials for modern construction projects, so we ensure that our yards have everything you need to properly install and finish your metal framing and track. Now that you’ve taken care of your steel framing needs, it’s time to think about your jobsite’s acoustical ceiling requirements. Browse our top quality selection of products and add what you need to your order.